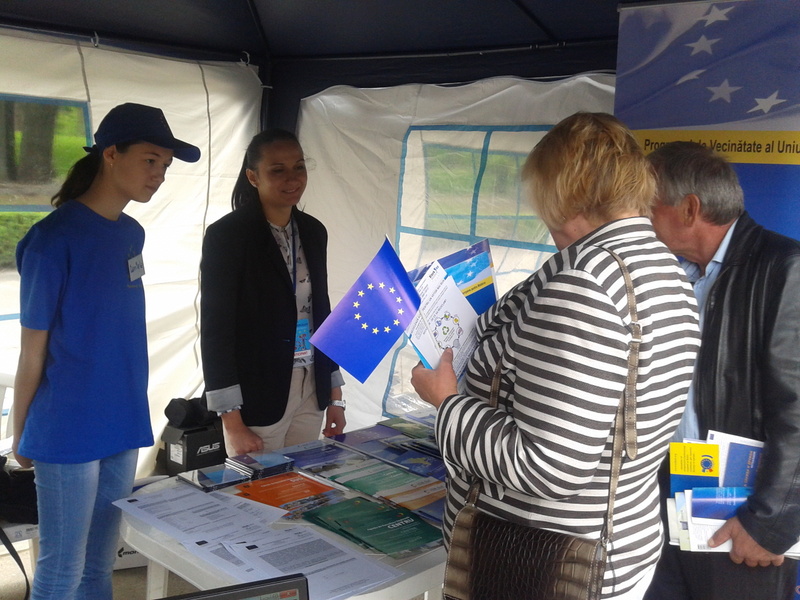 The Project “Improved Regional Statistics in the Republic of Moldova” (STATREG) has participated Sunday, May 10, at the event organized by the EU Delegation in Moldova "European Village", on the occasion of Europe Day. Within the event were distributed publications provided by the NBS, the Ministry of Regional Development and Construction and Regional Development Agencies (RDAs). It also has carried out a slideshow illustrating the role of statistics in describing reality. Students, researchers, general public and representatives of other EU-funded projects have shown their interest to the information displayed. On this occasion were completed and the questionnaires for regional statistics users (questionnaire in Romanian and Russian).